I'm a talker. I dominate conversations. I'm not happy at a job unless I get to chat with new people. I do things like guest star on local podcasts, just so I can talk some more. I enjoy intellectual conversations about literature, spirituality, what I heard on NPR, which Doctor is my favorite, which pony on My Little Pony: Friendship is Magic is best, and if The Doctor met the Ponies, what would happen. If you're a talker, you'll love these upcoming events. You get to share your insights AND drink beer or coffee. I predict only positive results. Hmmm...Chicago is approximately 30 miles from Flossmoor, University of Chicago is less. You could probably cover the same mileage driving from the far north side of Chicago to the University of Chicago. What is your point? You're absolutely right. Professors (and students) come from all over to go to the University of Chicago. However, you prove my point. Homewood and Flossmoor, together, have a population of less than 30,000. Chicago has over 2.5 million. For the "same mileage" that you note, those awesome guests could be serving a much larger, more diverse audience. 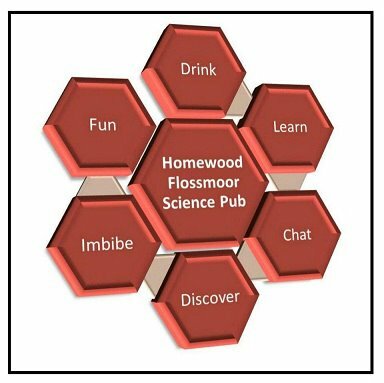 Obviously, Homewood and Flossmoor deserve science pubs. I'd just like to see more than 1 (or zero!) where there are so many enthusiasts in such a concentrated area. Science pubs/cafes are a great way to introduce science to a population that often finds it inaccessible. 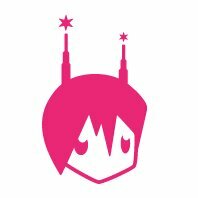 Thanks for the AnimeChicago plug, Lauren! We're really excited to cultivate this new discussion-based community and happy it's so well-received! As for Chicago-centric Science Pubs, perhaps the Chicago Nerd Social Club would be a good fit. They're already in the bookclub arena and are looking for more events/coordinators to form these types of events. @JMHO, I and many of my friends lack a car, so anything via CTA is a plus in my book. You're welcome, Jamie! Honestly, it was the fact that FLCL was chosen that caught my eye. The current generation of anime fans doesn't have the same roots as some of us do. Glad to see this age bracket of fans speaking up! ...and CTA is another great point! I hadn't even thought of that. I'm a U of C staffer and there are many of us who live in the south burbs on the Metra Electric line. There are very few public transit options for those of us who seek a yard, ok public schools and a train commute. I also totally get that it is very very far south for northsiders. I wish there were more Anime Meetups or Anime-Friendly cafes in the actual city. It seems all the Otaku live in DuPage, Kane, Lake, Will or McHenry Counties.